A small pill bottle...but only the cap is visible. 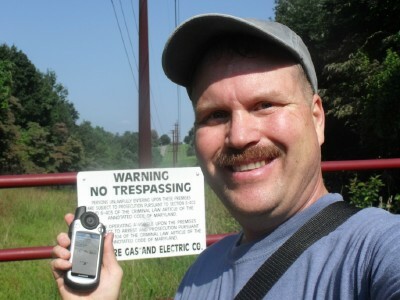 This appears to have been archived on Geocaching.com, but with a "new cache" by the same owner 31 feet away. Do you want to just edit this listing, and change the coordinates and cache name? We could do that. Or a new listing. Let us know! Park at the Regional Park. Don't get shot by deer hunters in the fall. DO NOT TRESPASS...but get close! For FTF (OC) Honors on this one! 2319. Found after some searching for a decent way to a trail and a bit of help from scfchaz via a PAF. I'd already made it most of the way through the tall grass. Enjoyed the walk to the cache. BTW, who complained that you provide too much information? Thanks! Logging the find here and a note on GC.com. Found it this afternoon. Actually, my wife found it. Took shark tooth and silly band, left shark tooth and silly band. SL. TFTC!